Hydration and Weight Loss: What’s the Link? If you aren't a water drinker, you might be wondering if dehydration prevents you from meeting weight loss goals. Believe it or there is a strong connection between water, hydration, and weight loss. Hopefully this article will inspire you to make water your new drink of choice! The main reason increasing water intake works for weight loss is because water helps fill you up. It takes up space in your stomach, tricking your body into thinking it's full and satisfied. Try a simple trick to find out for yourself. If you begin to feel hungry, drink a couple cups of water to see if your hunger diminishes. Water also enhances fat burning and keeps your energy levels high, especially during strenuous workouts. How Much Water Should I Drink for Weight Loss? Make it a habit to drink water each morning as part of your daily routine, to maximize weight and fat loss results. If you weigh more than you’d like to, drinking water before meals helps you reach your goal weight. Research shows that drinking about 2 cups of water before each meal helps you eat fewer overall calories and enhances weight loss. In order to achieve the weight loss or muscle gains you desire, aim to set daily water intake goals. Everybody is different, but in general men should aim to drink at least 16 cups of water each day to maximize health and wellness and maintain a healthy weight. This amount is a recommendation from the Institute of Medicine, and equates to drinking a gallon of water each day. You may have already heard about this ‘gallon per day’ recommendation. It’s a good goal to strive for, but everybody is different. To calculate your individual water intake goals, divide your body weight (in pounds) by 2, and add 32 to that number. For example if you weigh 200 pounds, divide 200 by 2 to reach 100 and add 32 for a total of 132 ounces as your daily water intake goal. Because there are 8 ounces in a cup, you'd need about 16.5 cups per day. Very active men and men living in hotter climates generally require more water than less active men living in cooler climates. If you feel thirsty, drink water! Even if it means you exceed daily water recommendations. Believe it or not, the color of your urine helps determine if you’re drinking enough water to stay hydrated. If your urine is clear or light yellow in color, chances are you’re getting plenty of water. If your pee is bright yellow, dark yellow, or brownish in color, boost your water intake until your urine becomes light yellow or clear. 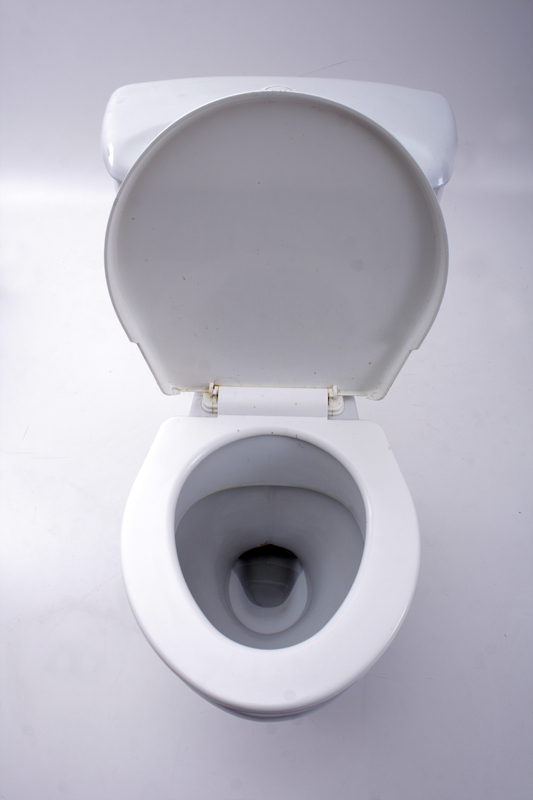 The number of times you urinate daily is another indication of whether or not you’re drinking enough water. According to Cleveland Clinic, urinating about 6-8 times within a 24-hour period is considered normal. This number varies from person to person, but you can use 6-8 times daily as guideline. A good way to know if you’re drinking the water needed to stay healthy and drop excess weight is to keep a daily water journal. In it, set goals of drinking 2-4 cups of water when you wake up, 2 cups of water before meals, and 16 cups (1 gallon) of water as a daily total. You can also use the formula above to determine your individual water needs for weight loss. Track actual water intake in your journal to find out how your habits measure up. An easy way to track daily water intake and know if you’re drinking a gallon a day is to keep a gallon jug of water with you at work, home, or while on the go. You can use a smaller water bottle and refill it, or take several water bottles filled with quality, filtered water with you. Slowly sip on water throughout the day, especially before meals, and try to meet water intake goals before you head to bed each night. Many people have found that drinking water at a cold temperature enhances its palatability compared with room temperature water. Your body can absorb colder water better than warm water too. To make it easier to drink water for better hydration and weight loss, refrigerate it before drinking water or add ice to it. Some men have a difficult time drinking enough water for hydration and weight loss because they simply don’t like the taste of plain water. If this is the case for you, add flavor using lemon, lime, other fresh fruit chunks, a tiny amount of fruit juice, pink Himalayan salt, mint leaves, or cucumber slices. Or consider drinking bubbly mineral water in place of regular water to change things up a bit. Drinking black coffee or unsweetened tea counts toward your daily water goals! That’s because these unsweetened beverages mainly consist of water and provide just 5 calories or less per serving. Coffee and green tea contain disease-fighting antioxidants and caffeine, which boosts your energy and your body's ability to burn calories and fat. Research shows that regular consumption of coffee or tea (3 cups or more daily) is associated with lower body mass indexes (BMIs) and smaller waist circumferences compared with people who drink less than 1 cup per day. Sugary drinks do help you stay hydrated, but also add unnecessary empty calories to your meal plan and hinder weight loss. These beverages increase cravings for additional sugary drinks and other sweet treats. Drinking plain water, or water flavored with fruit chunks, is best when weight loss, fat loss, and lower disease risks are your goals. Diet sodas and other artificially-sweetened drinks can help hydrate you, but diet drinks aren’t the best choice for weight loss. That’s because while many diet drinks are calorie-free, they taste sweet and can induce cravings for sweets and other sugary foods and drinks. Studies show that diet soft drinks are associated with larger waists. Is Dehydration the Reason I’m Not Losing Weight? Even if you’re drinking enough water, weight loss may not happen if you’re getting too little sleep. 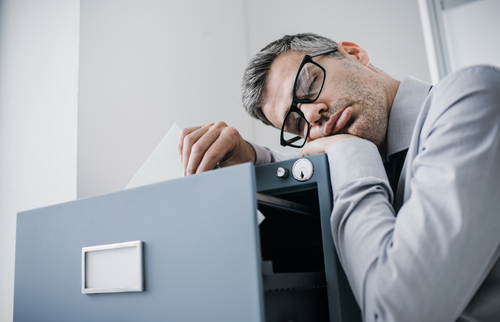 The reason is because chronic sleep deprivation changes hormones within your body responsible for appetite, increasing hunger and sugar cravings and hindering weight loss. Aim to sleep 7-9 hours each night, which is the recommendation of the Centers for Disease Control and Prevention (CDC). Drinking plenty of water helps reduce your overall calorie intake for weight loss, but doesn’t guarantee you’ll shed pounds if you’re eating too many calories due to poor food choices. Men seeking weight loss often require 1,500-1,800 calories daily. However, individual weight loss calorie requirements vary based on your usual intake. Aim to reduce your current energy intake by 500-1,000 calories daily to effectively drop 1-2 pounds per week and keep it off long term. As with sleep deprivation, chronic stress alters your body’s hormone levels, which can increase hunger and food cravings. Even if you’re drinking plenty of water, studies show that hormone fluctuations associated with stress can lead to weight gain. You can’t always avoid stressful situations, but do your best to de-stress by working out regularly, getting outdoors, and not overbooking your schedule. Working out regularly doesn't mean you’re on your feet as much as you should be for effective weight loss. If you have a 40+ hour per week desk job, move around as much as you can throughout the day, as studies show long time periods spent sitting are associated with higher body mass indexes in men. Try a sit-stand desk at work or take regular walking (or stair climbing) breaks throughout the day to stay as active as possible. If you’re sitting at a work desk longer than you’d like to during the day, choose active hobbies at home in addition to regular workouts, vs. television viewing or social media screen time. In addition to hormone imbalances caused by stress and sleep deprivation, other hormone problems can occur in men that hinder weight loss even if you're drinking plenty of water. For example, men over 40 might have low testosterone levels or thyroid hormone imbalances that make weight and fat loss much more difficult. Have your doctor check hormone levels to rule out an imbalance if you struggle with weight loss despite being hydrated, eating healthy, and working out regularly. If you picked a fad diet but aren't losing weight or keeping it off, the diet you chose isn't the right fit for you. For example, you might have a difficult time sticking with a classic ketogenic diet, raw foods diet, or a low-fat diet for more than a few weeks. Many men have had weight loss success while staying energized by following well-balanced, reduced-calorie meal plans specifically designed for men. Is the Fit Father Project (FF30X) Right for Me? FF30X is a weight loss plan specifically designed for busy dads over 40. It offers men the motivational support needed to stay on track with weight loss and healthy weight management long term. You’ll drink plenty of water when signing up for FF30X, but will also eat a good mix of vegetables, fruits, whole grains, legumes, healthy protein foods, nuts, seeds, and other heart-healthy fats. It's a program designed meets each father's individual needs. For example, if you're always on the go, your FF30X healthy meal plans can be too! With FF30X, you’ll receive fat-burning and muscle-building workouts to meet weight and fat loss goals, while building muscle in all the right places to achieve the physique you desire in a short time period. Choosing a weight loss program you can stick with long term is the key to success. Drinking about 16 cups, or 1 gallon, of water daily is a good place to begin when hydration and weight loss is your goal. Divide your body weight in pounds by 2 and add 32 to that number to calculate the amount of ounces for your individual hydration needs. Sometimes all you need is some guidance and motivational support to take weight and fat loss to the next level! Give FF30X a try to find out how easy drinking water for hydration and weight loss can be! *Please know that weight loss results & health changes/improvements vary from individual to individual; you may not achieve similar results. Always consult with your doctor before making health decisions. This is not medical advice – simply very well-researched info on hydration and weight loss.